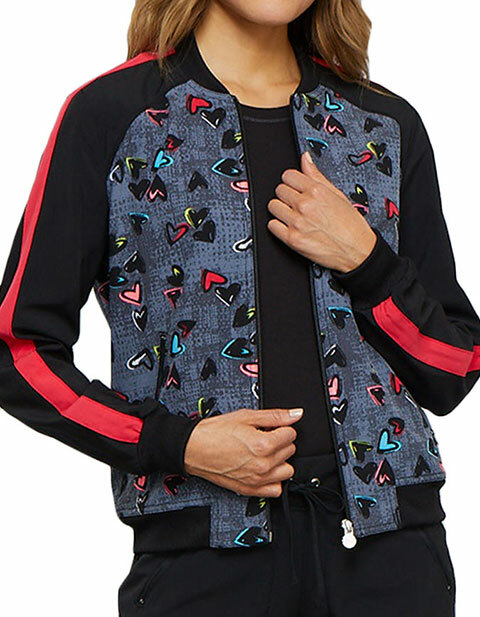 Layer up in style with Fashion Prints by Cherokee Women's Zip Front Heart Print Scrub Jacket. With its stripe details that look impressive, solid sleeves and comfy neckline, CK309 guarantees comfort. 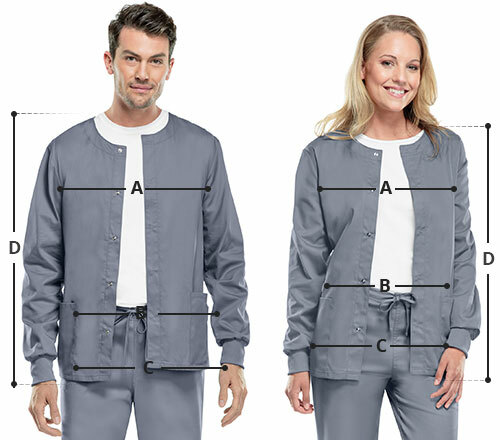 Moreover, the two front zippered pockets make storage easier than ever.